an intersectional analysis of urban politics that simultaneously pays attention to a number of power relations. She argues that in the 1990s and 2000s, the city’s business-friendly agenda – although couched in uplifting rhetoric – strengthened existing hierarchies not only in class and race but also in gender. Taking on municipal elites’ adoption of Richard Florida’s “creative class” thesis, for example, Parker looks at the group Young Professionals of Milwaukee, exposing the way that a “creative careers” focus advances fundamentally masculine values and interests. She concludes with a case study that shows how gender and race mattered in the design, enactment, and contestation of an uneven urban redevelopment project. At once a case study of the city and a theorization of urban neoliberalism, Masculinities and Markets highlights how urban politics and discourses in US cities have changed over the years. Heather organised an “author meets critics” session at the 2017 AAG annual meeting in Boston, bringing together Winifred Curran (DePaul University), Leslie Kern (Mount Allison University) and Ebru Ustundag (Brock University) to unpick some of the threads of the book. Together with the author, they weave those on in a brilliantly productive collective process of scholarship. You can read the reviews, and Brenda’s response to them, here and below. 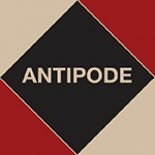 This entry was posted on 17 August 2018 by Antipode Editorial Office in Reviews.